A-League winners list – A-League or Australia League is the main soccer league competitions in Australia. It run by FFA or Football Federation Australia. 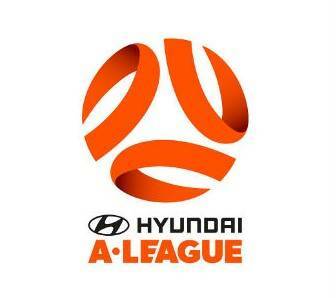 A-League was established in 2004 to replace National Soccer League (NSL). There are 10 teams compete in A-League each season. Several clubs already won A-League in the past. So what teams that include in list of A-League champions of all time? As the primary football competition in Australia, A-League winners clubs also gain qualification to AFC Champions League. Currently, 3 top teams in A-League qualify to AFC Champions League each year. A-League also not practice promotion and degradation. So each year, the same 10 teams will compete. List of 10 A-League clubs are Adelaide United, Brisbane Roar, Central Coast Mariners, Melbourne City, Newcastle Jets, Perth Glory, Sydney FC, Wellington Phoenix and Western Sydney Wanderers. All but Wellington Phoenix are from Australia, while Wellington Phoenix itself is clubs from New Zealand that chose to compete in A-League. Season in A-League divided into two, regular season and grand final match. Regular season is usual league with round-robin format. The winner of regular season tournament is dubbed the premier. The highest-placed teams will qualify in grand final match. The winner of grand final match dubbed as the champions. So in each season, there are A-League premier (for club that won regular season) and A-League champions (for club that won grand final match). Of course same club can won both. To date, Melbourne Victory is the most succesful clubs in Australia, having won 3 regular season and 3 grand final. Sydney FC and Brisbane Roar also won 3 grand final, but both only won 2 regular season. Other teams such as Central Coast Mariners, Adelaide United, Western Sydney Wanderers and Newcastle Jets have won either regular season or grand final at least once. Only Perth Glory and Wellington Phoenix that never won either both competitions. Here are list of A-League winners list, whether A-League premier for won regular season or A-League champions for won grand final match.